So far this series has taken us from the first attempts at moving the direct selling industry on to the web, clear up to the current state of replicated website. 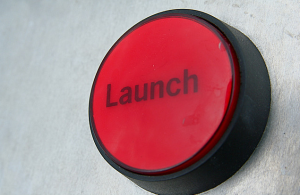 Once the right website service has been decided on and the sales force has been properly trained on how to use their sites, and what the company policies and expectations are, it’s time for launch. Today we will look at what steps need to take place for smoothest and strongest launch possible. Many factors need to be taken into account to make sure every body is on the same page and has the same understanding and expectations for their replicated websites. A decision needs to be made as to what model the company is going to use when introducing a new replicated website solution to distributors – whether it will be a required tool for everyone, or an optional service that interested distributors can opt-in for. In most cases, new companies should included replicated websites as part of the starter package for all new distributors when they enroll. Along with providing the website, companies need to offer initial guidance and strategy for the best possible use. Established companies should also provide new distributors with a replicated website when they enroll. However, existing distributors should be offered the service as an additional tool for growing their network and promoting product sales. Regardless of the company being new or or already established, the distributors being veterans or new recruits, the company’s replicated websites must be viewed as a valuable asset to assist the sales force in their success. One of the best ways of getting the sales force excited about their replicated websites is for leaders in the field to show them the way and set the example right off the bat. The company should engage top performing distributors to partner up during the roll- out, setting the pace for the entire sales force to follow. Once the leaders are aligned with the company on the roll-out strategy, they can help promote the system company- wide to spur initial momentum. This tactic is obviously not applicable for new companies just getting started, but can be very effective for more mature companies embarking on a new initiative for replicated websites. • Creating a smooth flow for distributors to sign up for their new website. Make the process as simple as possible. • Setting up a clear and concise payment collection system, if applicable. Put an automated payment system in place to create a seamless process for how and when payments can be made. • Finalizing the design and layout settings. Define what distributors will be able to control, and what needs to be consistent across all sites. • Setting the initial levels of control for the content. Before distributors log-in and begin to personalize their website, settings need to be in place for which content elements are customizable. • Determining realistic goals and expectations for adoption and use. Starting distributors off on the right foot will set a precedent moving forward. • Planning a press release for the launch. Communicate the launch with relevant press outlets such as trade magazines and blogs, home business websites and entrepreneurial publications, and bring in endorsements from prominent leaders in your company as possible. In The Evolution of Replicated Website Part IX we will look at how to assess the adoption and use of the replicated website throughout the company. Understanding the data coming back will play a crucial role in the sales force finding success online.